Whether or not most people realize it, Germany is a country filled with spellbinding scenery and marvelous historical buildings, towns, and villages. While some are rather obvious like the Alps or the many landmarks found in the nation’s capital, there are plenty that elude even the savviest German. 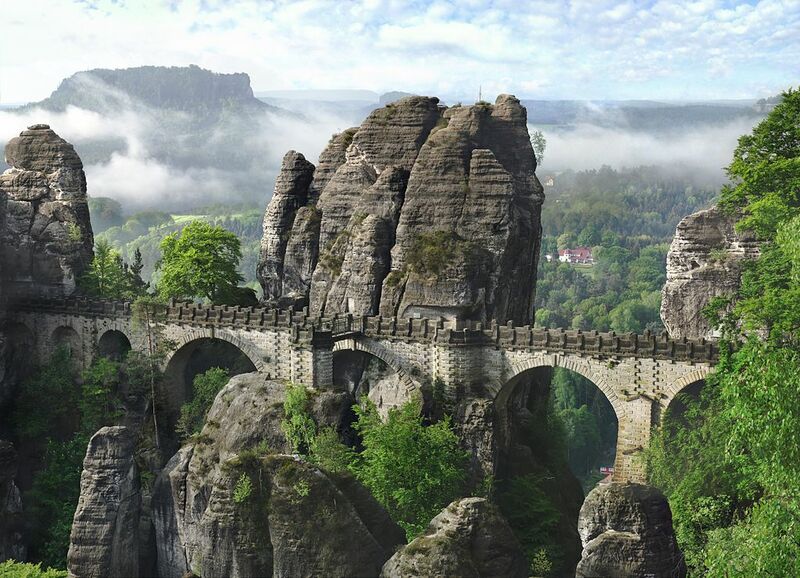 Here are 16 epic places in Germany that you’ve probably never heard of. To discover more hidden gems around the world, be sure to download the Culture Trip app here! While Germany is widely known for its scenic Alpine landscapes, these are not the only rock formations in the country that inspire wonder. 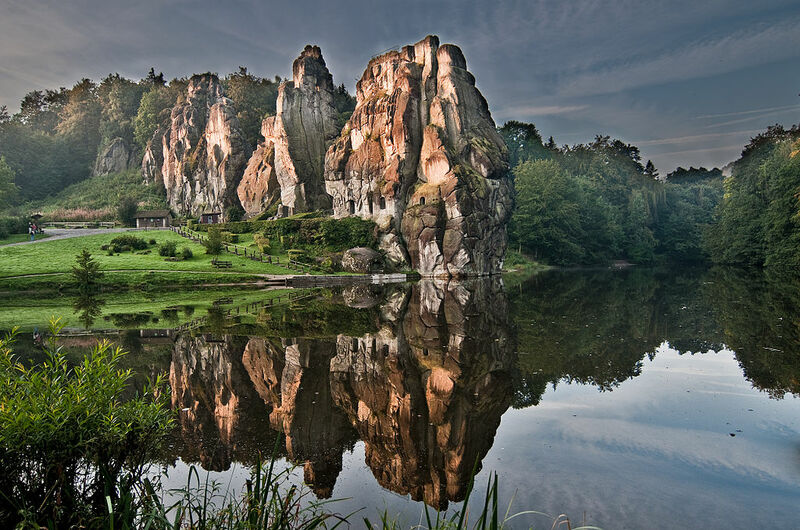 The Externsteine, located in the Teutoburg Forest in North Rhine-Westphalia, is certainly stunning in its own right. The arresting landscape has long drawn visitors – not all of them welcome. The Nazis placed particular interest in these jagged sandstones, which were used as nationalistic propaganda under the Third Reich and still draw neo-Nazi visitors to this day. Even within the famed Alpine regions of south Germany, there are many stunning hidden gems worth seeking out. 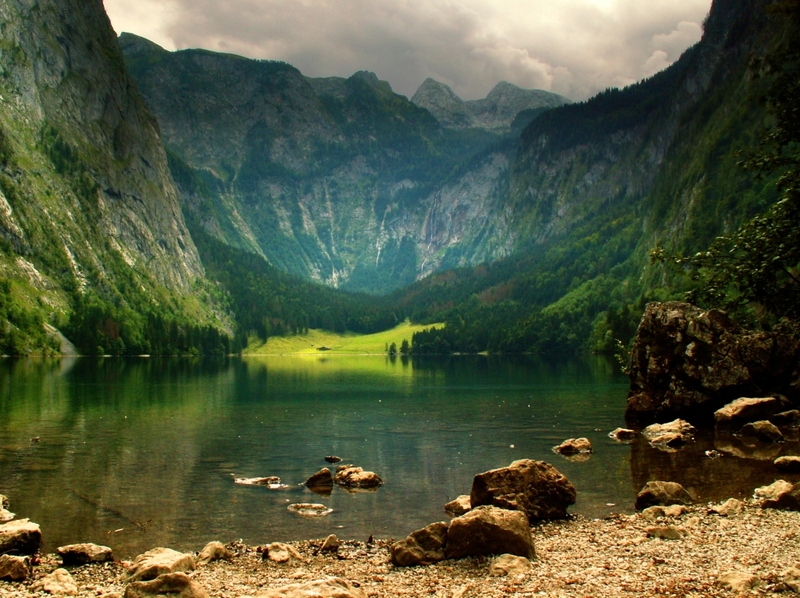 Obersee Lake in Bavaria is one of them. Find it in Berchtesgaden National Park, close to the Austrian border. The lake is known for its clear, serene waters, which reflect the surrounding mountains. Germany’s many natural landscapes promise breathtaking hiking experiences overlooking rivers, forests, mountain ranges, and even the occasional medieval castle. Yet, one of the most unique natural features just waiting to be explored is found in Garmisch-Partenkirchen, a ski resort in Bavaria. The Gorge Walkway looks like something out of Lord of the Rings. The winding creek is surrounded on either side by steep precipices that form the ‘walls’ of the corridor. 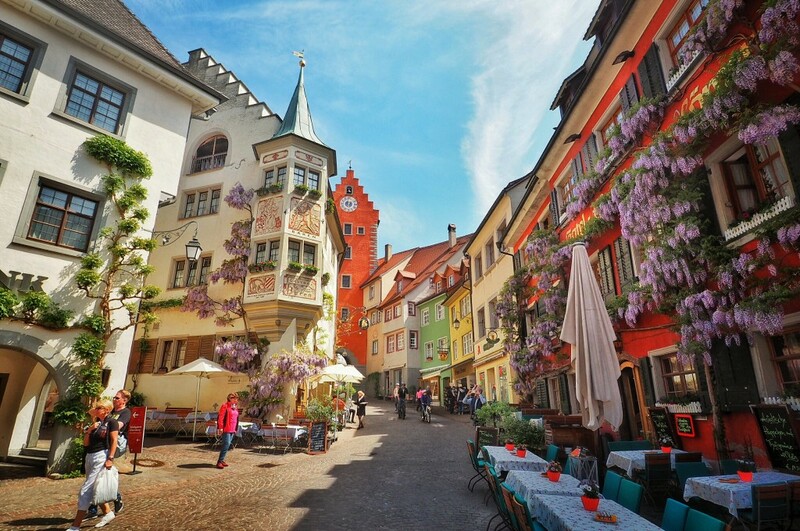 Meersburg in Baden Württemberg is an astoundingly quaint and picturesque village dating back to medieval times that still maintains its historic charm, as it is reserved for pedestrians without being totally overrun with tourists. What’s more is that this town is located on a gorgeous lake, and it is only a stone’s throw away from the French border, making it a perfect detour on any European trip. While Germany isn’t exactly known for its beaches and swimming holes — though it does have its fair share — there are undoubtedly some gorgeous natural water features located throughout the country. 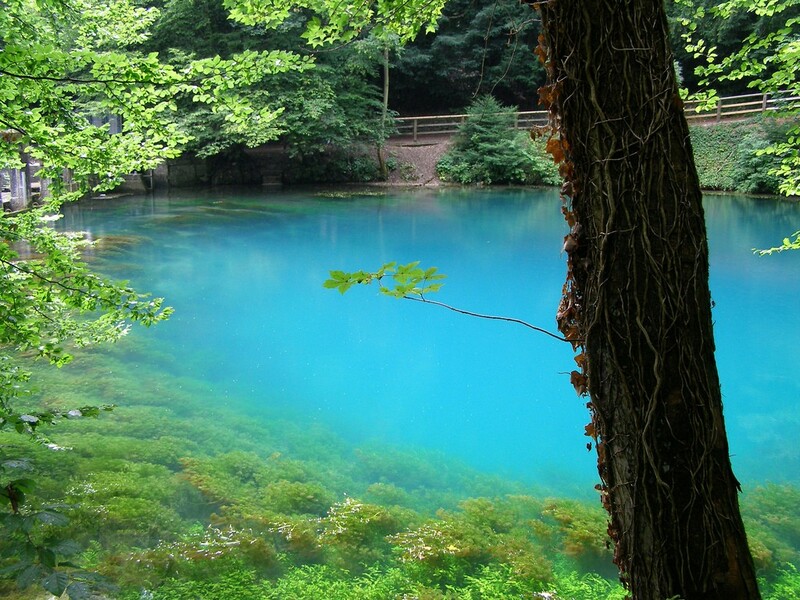 While Blautopf in Blaubeuren in southern Germany doesn’t reflect jagged mountainscapes on its surface, it is renowned for its extremely blue waters, which beautifully contrast its lush forested surroundings, particularly in autumn. Most tourists who are in the area will likely be drawn to Neuschwanstein Palace, but let us recommend that you also check out the smaller summer abode of the same King Ludwig II. 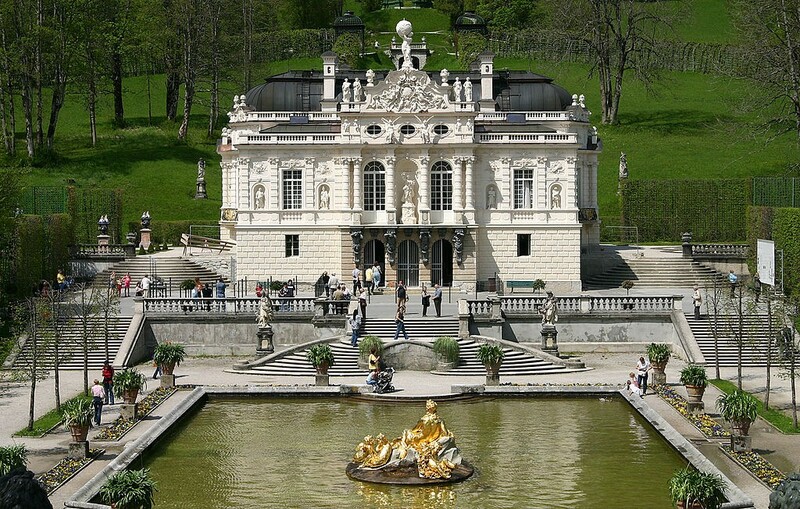 Linderhof Palace was his lavish baroque summer home, and it is outfitted with impressive gardens, Romanesque statues, and fountains. It was the only residence commissioned by the king of which he actually lived to see the completion before his mysterious, untimely death. 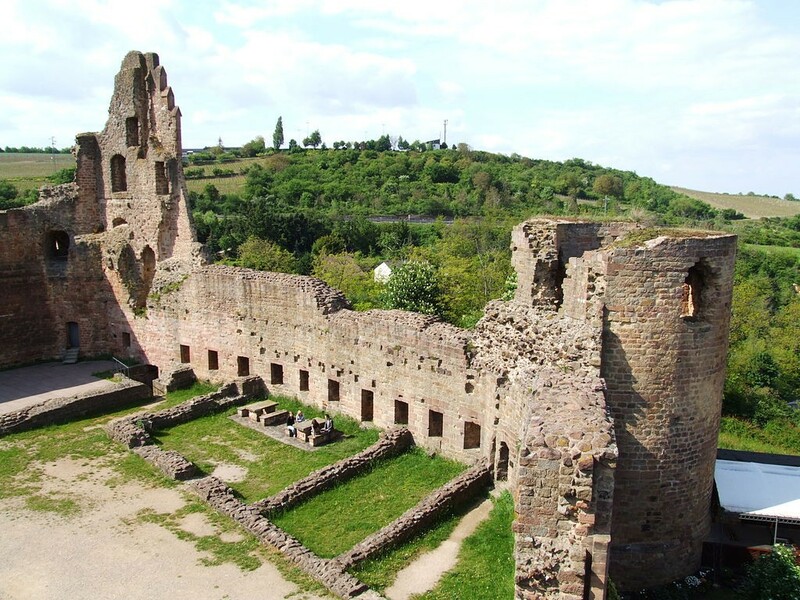 Indeed, regions throughout Germany are studded with phenomenally well-preserved castles and palace residences from various architectural eras beginning during the Middle Ages. Yet, sometimes the ruins of said castles can be equally as impressive. This is certainly the case with regard to Burg Neuleiningen in southwest Germany, which was destroyed in a battle with the French in 1690. For those who are in love with the fairytale aesthetics of old Germany, there are luckily a handful of other beautiful towns and villages that have maintained their original charm. 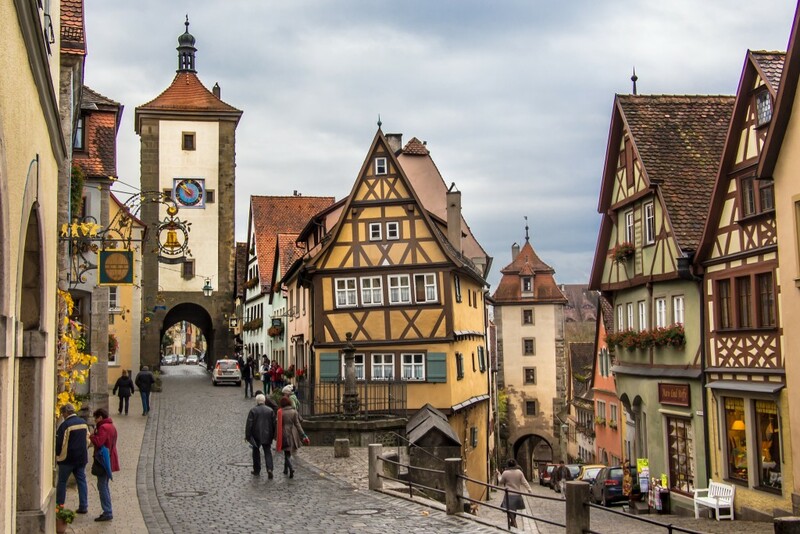 When conjuring a mental image of Rothenburg ob der Tauber, think timber homes with gabled roofs and cobblestone streets, filled with well-preserved historical buildings including towers, gatehouses, and St. Jakob’s Church. The best time to visit is during the holiday season when everything is dusted with sparkling white snow and the Christmas markets have commenced. Despite its name, Schrecksee doesn’t actually bear any connection to the fictional green ogre, except perhaps for the lush coloring of the surrounding mountain peaks. The lake is situated in the Alps, and it has remained astoundingly untouched by civilization. In fact, images of the lake appear to be taken from an entirely different era altogether, as if it functioned as the inspiration for Jurassic Park or The Land Before Time. The next epic spot on our list is located in a village in the district of Görlitz, which is situated in eastern Germany near the Polish border and is worth visiting in itself. 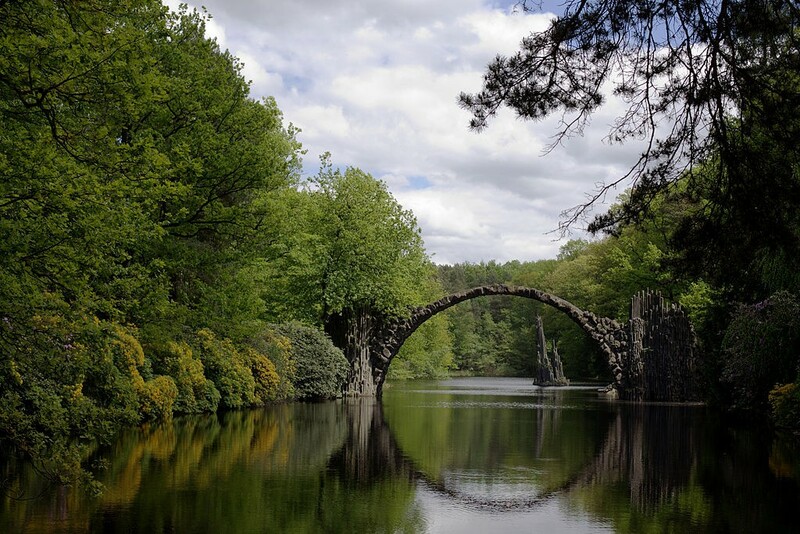 The reason that we are mentioning Kromlau here, however, is for its stunning arched Rakotzbrücke, which extends like a bridge across the water, creating a perfect circle when reflected on the surface. What’s more is that this is also the site of the largest rhododendron park in the country. Basteibrücke, or Bastion Bridge, near the German-Czech border functions as a different kind of juncture altogether, albeit no less beautiful. The sandstone bridge was built in 1851 and stands at over 194 meters above the Elbe River. It is surrounded by jutting rock formations and trees, which only adds to its fantastical appeal. The tiny town of Cochem in Rhineland-Palatinate dates back to late Roman and Celtic times. 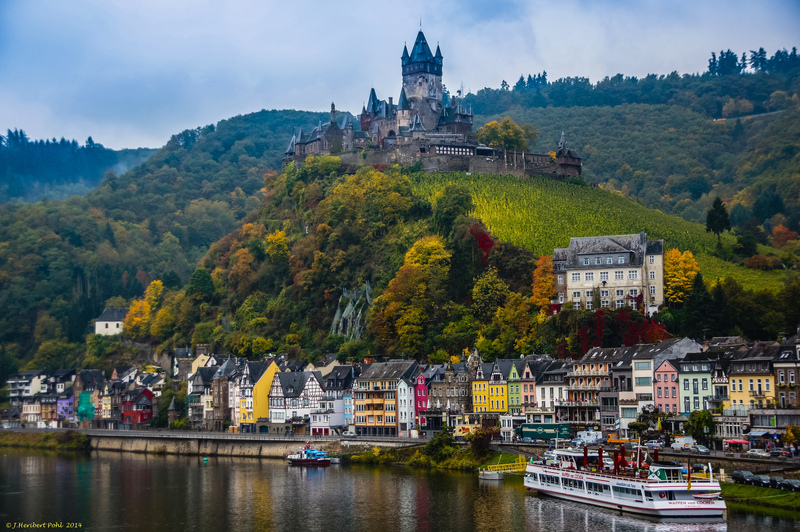 Today, it remains filled with dozens of intriguing historical buildings including the Cochem Imperial Castle, which is surrounded by vineyards. It is popular to take a sightseeing tour from a boat on the Moselle River. From this vantage point, it is possible to see Cochem’s many colorful homes set against the backdrop of the castle poised on a sharp hill. 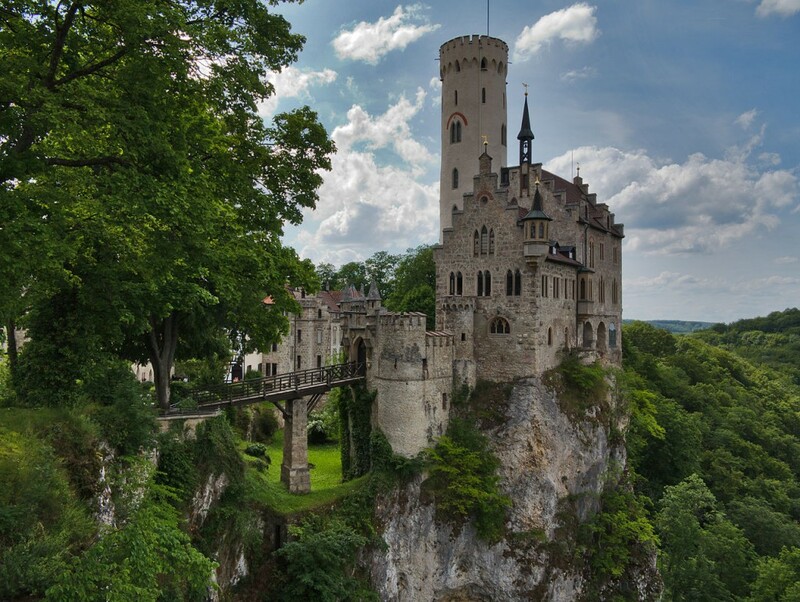 Speaking of castles, the Lichtenstein Castle located in Honau, Baden-Württemberg could truly give Neuschwanstein a run for its money. Built in stone and featuring a large turret and access by bridge, this gorgeous abode was built in gothic revival style in 1840. It is so beautiful that it is known for contributing to the aesthetics of 19th century German romanticism, which helped pave the way for future concepts of German nationalism. 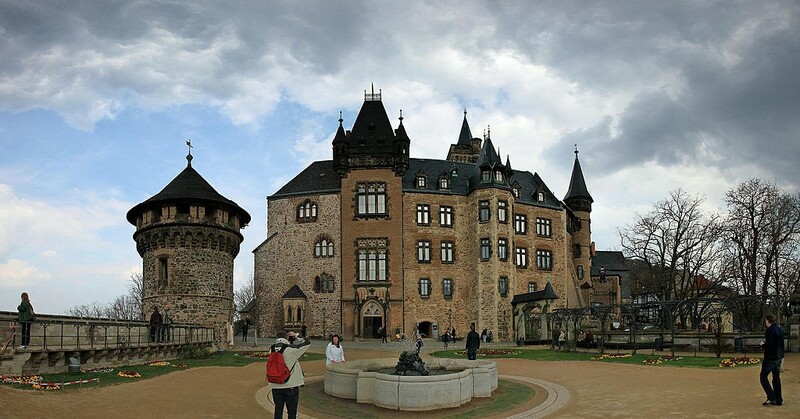 Another one of Germany’s most underrated castles is Wernigerode Castle located in Saxony-Anhalt in the lesser-known Harz Mountains. It is actually similar in architectural style to Neuschwanstein, but it was actually built far earlier in time, with its foundations first having been laid in 1213. In 1710, it was rebuilt in a baroque style for Count Christian Ernst who ruled over the area for more than 60 years. Today, it is a common tourist attraction in Wernigerode. Lindau is a town situated on an island in Lake Constance, Bavaria. The settlement has existed since the 12th century, and today it provides the best of both worlds when it comes to scenic alpine vistas and seaside scenery. 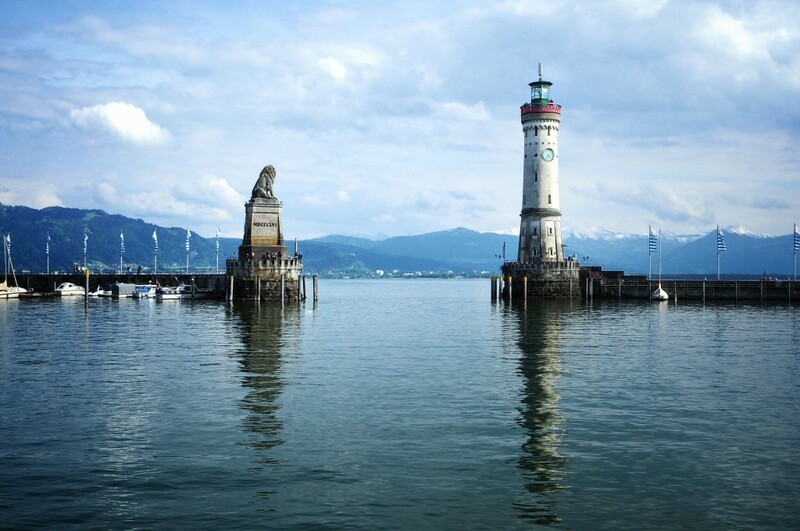 In fact, one of the best times to visit Lindau is during Christmas when the lake is frozen, the mountains are covered in snow, and the town is illuminated with Christmas lights. Okay, we admit that many people are familiar with Germany’s Black Forest, or at least the delicious cake that’s named after it. Located in the country’s southwestern region near the French border, it is subject to countless legends featuring sorcerers, witches, werewolves, wizards and more. See for yourself that the views within the forest are, indeed, quite alluring to the imagination.